Lucky Luke says he and his 8-year old brother are always told by their mom to spend more time mastering chores than video games. Then, as if a light bulb flashed over her head, she got the perfect idea: turning chores into video games! Each week, Luke and company get 3 lives. A life is lost when chores are done lazily, they talk, or goof off. When they lose their third and final life, they get a “game over”, which means a weekly video game restriction. Luckily, their mom does things like hide rewards or extra lives in her shoes when she asks her kids to put them away. Now this is a life I would want to live! Unfortunately, it didn’t turn out well for editor-in-chief Chris Slate, as he says the magazine staff took turns jumping on his head trying to beat the final boss. It’s every gamer for themselves, folks. The way I would probably do it is almost identical to Luke’s with a little twist that makes the odds a little more even. At the start of the week, we get five lives. I’m the king of second chances, man! If we do something really good, we get a 3-life boost. I’m trying to be fair without being invincible. Rewards can originate from actual games, such as power pellets and mushrooms. But here’s the catch–they can be traded in for real cash. I’m not trying to be a penny-pincher, but it’s honestly a good way to fill your allowance. Almost like those Mom Bucks from Rodrick Rules. Here’s the chart: power pellets can be traded in for $1.00, super mushrooms go for $1.25, leaves go for $1.50, hearts go for $2.00, and if you’re good enough to get a Starman…it’s a $4-boost. The main reason why we played video games is how fun it would be in real life. That’s what bored gaming YouTubers do all their online life. This is known as the online abbreviation “IRL”. Anyways, parents, if you want to make your chores worth getting up and doing, follow my procedures and your kids will never sneak out of chores again, absolutely positive! If you like my ideas to make your life better, than subscribe for more weekly juice, and if enough kids and parents like Parents Produce, it’s going on the list of main segments! Also be a doll and click the like button if you blog at WordPress. And as the final post and day of September, I’ll give you a couple things to look forward to on Sammwak! Nintendo’s super-duper-specially-important 122nd birthday celebration. That’s as old as the world’s oldest grandma, no kidding! Why did the vampire go to the orthodontist?…To improve his bite! Sounds cheesy, but it’s a hint for the second annual Sammwak Halloween special. One thing is that there’s a lot of surprises! A not-yet-clarified celebration of my three-hundredth post…the one you’re looking at right now! Man, isn’t 2011 the year of celebration? Hey guys it’s Sam. Sorry I haven’t been putting up new posts lately, ugh, my computer does not have Internet 😡 So I have to borrow my sister’s MacBook Pro to make this post for you! Anyways, my sisters (Tumpale and Eneke) already hit Forever 21. Me? What, you think I shop? But anyways, when this day ends, like, tell me how your Black Friday was! I don’t rly care if u shopped or not. All that matters is that it’s Black Friday. Gots it? If you don’t kno what Red Ribbon Week is, it’s basically a week to say no to drugs and alcohol. So it’s basically Say No to Drugs and Alcohol Week. Monday, October 25 – We all wear red. Friday, October 29 (Halloween parade): Wear orange and black, because we’re saying “boo” to drugs. But are you proud to be drug-free? If you’re a smoker, then boo you. Because don’t blame me when your lungs are polluted. But if you can actually vow to do all this, you’ll receive a special special prize. Wear red on Monday, sweatpants on Wed., and orange and black on Friday! FRUITY PEBBLES ARE EVIL!!!! – Rant on Fruity Pebbles? That’s right I know it may sound silly but it is true. Hey guys its Sam at Sammwak, where our posts are so cool, you’ll be fooled. It was just one night when I believe we had run out of Lucky Charms (my favorite cereal btw) so I decided to have Fruity Pebbles. Worst. Decision. Ever. So anyways, I was eatin….and then I found out that it tasted stanky horrible, and I think I even got a stomachache, so I disposed of it. Now back to this. This is why I believe Fruity Pebbles are evil, and I was literally self-forced to eat a bowl of some mixed with Lucky Charms (:() Revolting, right? And now, my stomachache has passed, but I am still haunted by a mysterious headache. So I will never make that mistake again and always ask my dad to buy something else to avoid the deadly Fruity Pebbles on top of my fridge. This is Sammwak signing out. That’s right everybody…it’s my 100TH POST!!! Well, actually I have 101 posts, but I’ve only published 99 of them. So, apparently, this is my hundredth post. 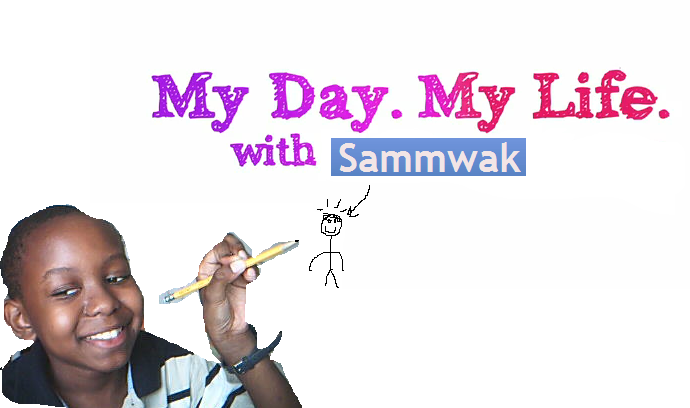 Hey guys it’s me Sam of Sammwak…another blog of awesomeness and I’m gonna be telling you the great things that have happened recently. For numbers 4,000+, bars are put above the base numeral, otherwise parantheses are used to place around the numeral, to identify multiplication by one-thousands, although Romans themselves simply wrote out the M’s. Also did u know that parentheses are more versatile than bars? Like, (II) is more synonymous with MM, but II <please excuse no use of a bar. this post is just dumb> isn’t found. The basic multiples of these numerals follow a pattern. So, to celebrate my good name, I will be changing my dull and boring theme to a much more exciting theme! Keep your eyes peeled! I have 371 views right now! Thanks everybody! Keep it up to 400! I started adding tags right now, so apparently, this is the first post to involve tags. I just added a new widget (whatever that is) so now you can check my blog stats and see how much [insert plural noun: hits] I have. So uh check out my new theme. Check out my stats. Check out my tags. Checking out. Hey guys it’s Sam and I have another terrible story to tell you from the time I got orange juice up my nose. It’s even worse…eating Special K. It was one day when Mom poured me a bowl of Special K. I was eating it when my stomach began aching. Worse and worse it grew by the minutes. And it went to the point where I couldn’t even speak, but groan. After awhile, the stomachache passed, but was replaced with a sore throat. I was so confused. I didn’t know WHAT was going on. But then I learned the truth. Special K is for WOMEN who want to lose weight, not for MEN who want to gain it in muscle. Man I can’t believe I fell for that one. Luckily, I let Mom know and I never ate a spoonful of Special K again. Today’s commenter question: Have you ever eaten/drank something that you’re not supposed to? Today’s fact: Special K was introduced to America in 1956. And that’s today’s terrible story.